Great news! We learned that ‘Brampton’s Own‘ movie that Rose McIver filmed last year will make its world premiere at the ‘The 49th Annual NASHVILLE Film Festival‘ (May 10th-19th). 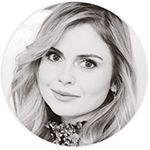 Stay tuned for more informations at rosemciversource.net. You can find all informations that we know yet about the movie at the MOVIE PAGE or in our POST TAGS. Source | The 49th Annual NASHVILLE Film Festival continues its expansion of film screenings with an international roster of twenty-eight Special Presentations, Animated Feature, Spectrum and Spectrum Q films including the world premiere of BENCHED, produced by Robert Deaton and George Flanigen, ON CHESIL BEACH, starring Saoirse Ronan, fresh off her award winning role in Lady Bird, HOT SUMMER NIGHTS, starring Timothée Chalamet, whose role in Call Me By Your Name was critically acclaimed, BRAMPTON’S OWN, starring Rose McIver, Spencer Grammer and Jean Smart, as well as the 50th anniversary screening of ROSEMARY’S BABY, starring Mia Farrow, and a special screening of JURASSIC PARK, starring Sam Neill, Laura Dern, Jeff Goldblum, Richard Attenborough, BD Wong and Samuel L. Jackson. Other leading talent include Daveed Diggs, Alexander McQueen, John C. McGinley and many more.